Internet service providers offer different prices for the same services depending on whether they’re city-owned or private. Heaps of data can now show why a lot of customers would actually prefer muni broadband services. The same data can also help to understand exactly why the telecommunication industry in the United States may fear it. There is very little doubt about the fact that municipal internet broadband networks offer more economical entry-level process. That is especially true if you compare municipal internet broadband networks with private internet service providers. Generally speaking, municipal broadband networks managed to offer lower prices. Another factor in favor of city-run internet broadband networks is that they make it easier for their customers to actually calculate the real price they would have to pay for their broadband services. Researchers from Harvard University who have just carried out a new study on the topic. So how did Harvard University researchers come to know about municipal broadband internet networks offering cheaper services that private broadband internet service providers? Well, researchers went about their business and collected advertised prices that came with enter-level broadband internet service provider’s plans. These plans are basically the ones that meet the United States federal standard. That standard is at least a 25 Mbps download speed along with 3 Mbps upload speeds. Researchers looked at around 40 community owned internet service providers and their plans. Researchers published their findings in a report at Harvard University’s Berkman Klein Center for Internet and Society. Perhaps this is a good time to mention that the Harvard report doesn’t really provide the complete picture when it comes to the pricing models of private internet service providers and municipal internet service providers. But in the many cases where Harvard University researchers had the opportunity to compare private internet service provider prices with municipal prices, the city-run municipal broadband internet service provider networks almost always managed to offer lower entry-level broadband prices. The findings could potentially help to understand and explain why the telecommunication and broadband industry hasn’t really stopped their fight against municipal broadband internet networks and their expansion plans. How do these private broadband internet service providers fight against municipal networks? Well, they fight using a lot of different tactics. Trying to push United States legislators to come up with and draft state laws which act against municipal broadband service providers. Doing everything to lobby against any and all local ballot initiatives. Using their legal muscles to file lawsuits against areas/cities that dare to go ahead and build their own broadband internet service networks. Let’s compare the average prices for private and municipal internet service providers for the past four years. As mentioned before, researchers at the Berkman Klein Center have made a lot of effort to present a balanced picture when it comes to the pricing models that private and municipal broadband internet service networks offer. 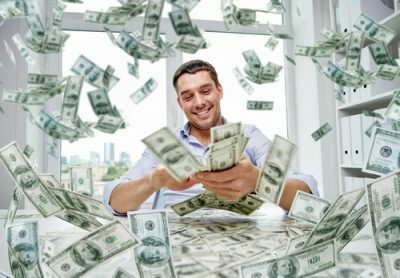 The report clearly mentions that researchers managed to find that most, but not all, community-owned Fiber-to-the-home or FTTH networks generally charged less amount of money and offered prices that researchers found unchanging and clear. Researchers also mentioned in the report that on the other hand private internet service providers typically charged a slightly lower initial promotional offer. These private internet service providers introduced these prices as “teaser” rates. The report found that private internet service providers’ initial lower rates sharply rose after a certain period of time. According to the report, that “certain” period of time usually lasted around 12 months. The report also mentioned that researchers managed to make this kind of comparisons in about 27 communities. Researchers found that in as many as 23 of those community cases, the community-owned Fiber-to-the-home internet service providers offer lower prices when researchers averaged the prices for a period of four years. The Harvard University report also mentioned that when researchers changed their time period to take the average over three years then the fraction changed. For the three year period, around 22 communities out of the 27 that researchers studies showed city-owned internet service providers to be cheaper. Researchers took a look at another set of 13 communities. But in these communities, they did not have enough data to make any sort of comparisons. Researchers found that in some of these areas private internet service providers’ official website terms of service prohibited and in some cases deterred data collection. One of the other reasons why researchers could not make comparisons in these communities was the unavailability of a competitor whose service could be qualified as a broadband internet service. The Harvard University report researchers also made an incident finding. Now all internet services are created the same. They found that Comcast, one of the largest telecommunications company in the United States, had an interesting service policy. In other words, it offers different terms of service and different prices for the same service in various different regions. While trying to calculate the four-year price averages, researchers managed to account for all recurring and fees costs. The Harvard University study also mentioned a lot of other interesting findings. For example, it found that in communities where private internet service providers charged more money for the same service than municipal broadband networks, municipal internet service providers charged prices that were from 2.9 to 50 percent lower than the actual lowest-cost that a private internet service provider/providers offered for the same service in the studied market. Apart from that, in about four other cases, private internet service providers charged users between 6.9 and 30.5 percent lower for the same service. So which area suffered the biggest disparity? According to the Harvard University report, Lafayette in Louisiana. The Lafayette Utilities Systems actually charged users a 50 percent savings when researchers compared it to KTC Pace. When researchers compared Lafayette Utilities Systems prices to Cox they found that Lafayette Utilities Systems offered a 34.2 percent savings. In other words, municipal internet service providers offered better prices. The more interesting fact is that municipal internet service providers entry-level broadband speeds were better as well. Municipal internet service providers offered 60 Mbps down speed along with 60 Mbps up speed. The same entry-level plans that cox and KTC Pace offered had 50 Mbps downside along with only 5 Mbps up speed. When researchers looked at Sebewaing, Michigan, they found that municipal ISPs offered its services for 43.8 percent cheaper when they compared the prices with Comcast. And that is despite the fact that municipal ISPs offered faster speed in their entry-level broadband internet service tier. Moreover, researchers found, that municipal ISPs mostly beat the pricing models of many other private ISPs in other cities. For those who want to read the raw data that researchers used in this Harvard report, click here. Readers should also have a look at page 8 of the Harvard University report. So how did researchers choose their communities? They chose the ones that Institute for Local Self-Reliance included in its own report when it collected data for different communities. 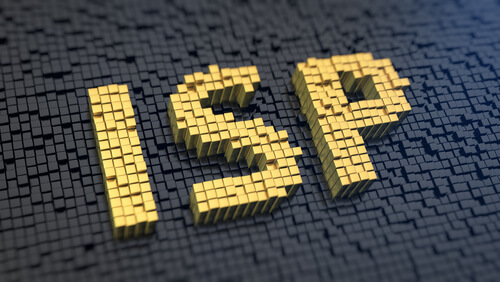 ILSR, or Institute for Local Self-Reliance, had previously identified around 400 community-owned broadband internet networks based in the United States of America. 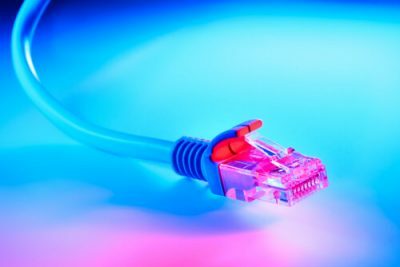 The study also points out that researchers focused specifically on around 40 communities broadband internet networks on the Institute for Local Self-Reliance list that offered FTTH or Fiber-to-the-home service. The study did not focus on broadband services that used the hybrid, coaxial cable or DSL technology. 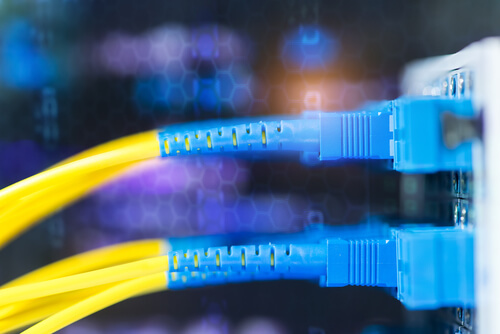 Researchers also outlined several reasons why community-run fiber broadband internet networks offered cheaper services than private cable providers. According to the report, researchers found it very impressive that community-run networks could deliver such cheap broadband services. Researchers reasoned that a targeted study focusing on community-owned Fiber-to-the-home networks provided them with a rather valid subset. These researchers also thought such a study would treat local private competitors fairly. Well, researchers argued that fiber represented the most expensive technology among all technologies related to providing a cable service. FTTH technology is also expensive to deploy. In the case of local private cable networks, they would have installed this technology much more recently. Another fact we have to take into consideration is that these local cable providers still were paying the capital costs involved with setting up FTTH technologies. Additionally, researchers involved with the study considered fiber the most versatile and advanced technology. Because of that, companies are likely to use Fiber for any and all future broadband/cable internet network construction. Researchers wrote the report as a part of the Responsive Communities Initiative from Harvard’s Berkman Klein Center. Data is great. Often times though it doesn’t tell the whole story. The report does come with some caveats. More notable is the fact that the report doesn’t take into account other private internet service providers. And it’s not like the report tries to hide that fact. It clearly mentions that researchers did not collect any data from providers such as AT&T. Because AT&T’s website clearly mentions several prohibitions in the company’s terms of service document. AT&T has published that document on its official website. The report also mentions that it did not collect any type of data from providers such as Verizon. Again, the report mentions that Verizon also has prohibitions in the company’s terms of service document. Verizon, just like AT&T, has also posted its terms of service document on the company’s official website. So what exactly does AT&T’s terms of service document prohibit? Well, it prohibits lots of things. It prohibits systematic collection and utilization of any of the company’s content. It prohibits activities such as data mining and other data extraction and gathering methods as far as the company’s data is concerned. Verizon is also pretty similar to AT&T when it comes to prohibiting data collection. The company’s terms of service document clearly mentioned that any authorized use of the company’s terms of service page was limited to the review of service availability information. Verizon’s page also mentions that it would only allow the authorized use of their terms of service page for a particular phone number or address. And it may only do so in the case of persons who are interested in purchasing the company’s service. Verizon also mentions it may also allow the use of its page for people who want to make some changes to their existing Verizon service. Of course, researchers could have collected some information on pricing from the official websites of these private ISPs. But the authors of the new study chose to not do that. Because of the legal advice that they received. This is what David Talbot, one of the co-authors of the report, told Ars Technica. It is also true that Verizon and AT&T service plans along with pricing information may not have altered the study’s results by a huge margin. Because both of these companies use DSL services for their networks most of the time. And that basically falls short of the Federal Communications Commission’s standard of broadband speed internet. The Federal Communications Commission has set that standard to 25 Mbps up speed and 3 Mbps down speed. Researchers also pointed out that they found it hard to extract exact pricing information from the official websites of these companies. Because these companies’ official websites require the user to type up a specific address into their availability check slots. Talbot told Ars Technica that these websites only show data if the user plugs in an address. And that would have violated their terms of service as far as the researchers’ study went. Moreover, Talbot mentioned that in the majority of the handful of towns where they faced these terms of service issues, Verizon and AT&T only offered DSL services in any case. Hence researchers did not think that their inclusion would have changed the overall study’s outcome. The way the Federal Communications Commission collects its data also did not impress the co-authors of this study, including Talbot. According to the report, generally speaking, the researchers found it extraordinarily difficult to make a comprehensive price comparison between different United States internet service plans. Hence, the transparency that municipal broadband providers offer with their pricing models is one of their key advantages. And most of these local networks have this advantage of their private internet service provider competitors. The Harvard report also indicated that of the 35 private broadband internet provider access plan that they encountered in their data collection, about 25 offered a low-cost promotional rate in the beginning. Researchers called it the ‘Teaser’ pricing models. Private broadband services use a variety of methods to lure customers into using their service. After that, these private ISPs increased their rates by quite a margin. Private internet service providers usually did that after the conclusion of their initial promotional period. Most of the time, the promotional period only last 12 months. Moreover, by contrast, researchers encountered st three examples of community-owned internet service providers that made use of promotional pricing model. Of course, there could be others as well but researchers did not come across them during their study. In the US town of Monmouth and Independence, Oregon, researchers only found MINET that made use of such offers. Offers where the broadband internet provider used deals to offer internet access at a special and promotional price for students. This is perhaps a good time to mention that the Federal Communications Commission did have laws against such “promotional” offers. In 2015, the organization’s net neutrality order forced all internet service providers to exercise more transparency. Especially about their data caps and pricing. Of course, the Republicans have now repealed those rules. That happened about a month ago. In doing so, the Republican also threw out all the enhancements that the FCC made to transparency requirements. Project Veritas: Twitter Employees Hate Conservative People?